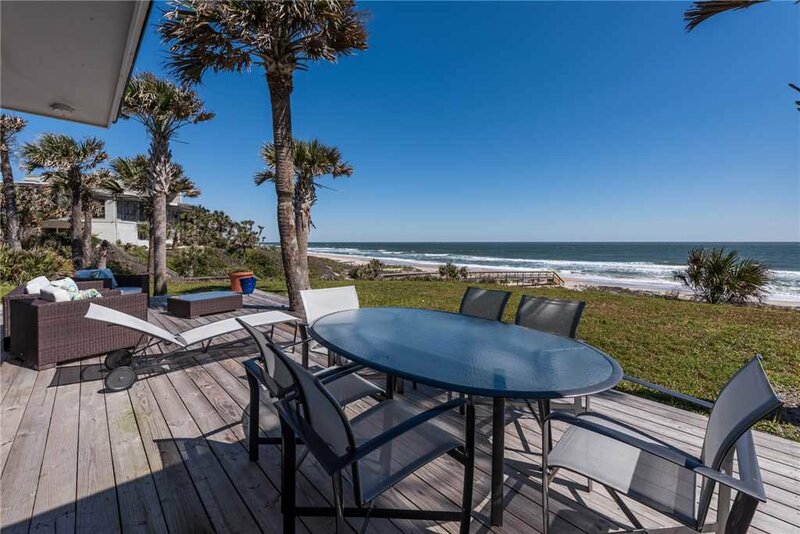 You’ll be vacationing right by the Atlantic Ocean in a luxury home of your dreams when you book your stay at Ponte Vedra Blvd 1137 in Ponte Vedra, Florida. 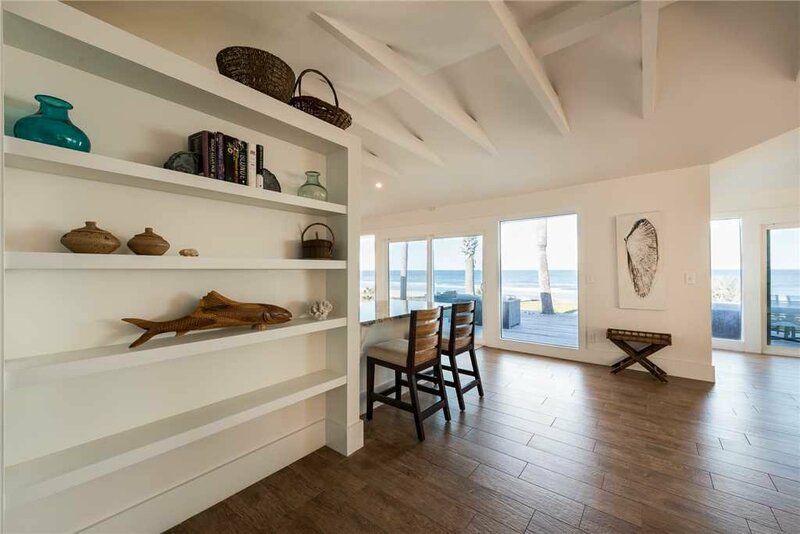 The ocean is right behind your home and the architect of this spectacular residence did everything to bring the ocean’s beauty into your indoor living spaces. 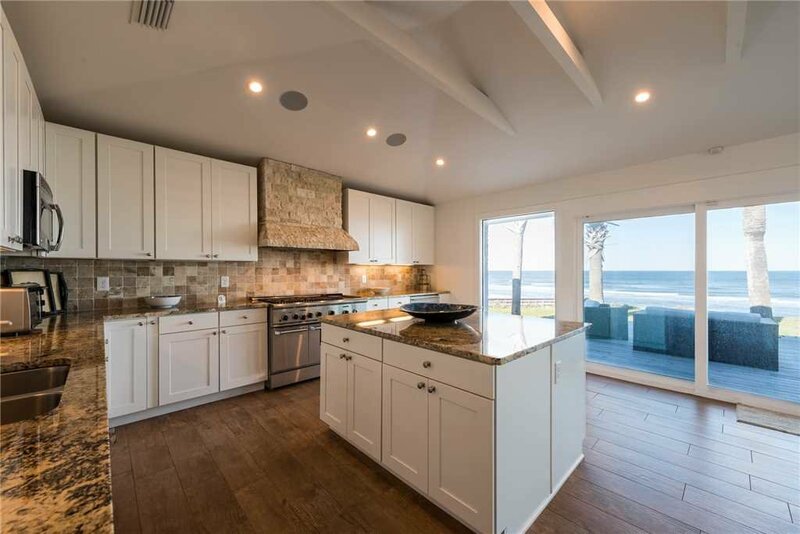 Ponte Vedra Blvd 1137 is a four-bedroom, three and a half bathroom luxury home that can accommodate up to eight friends or family. 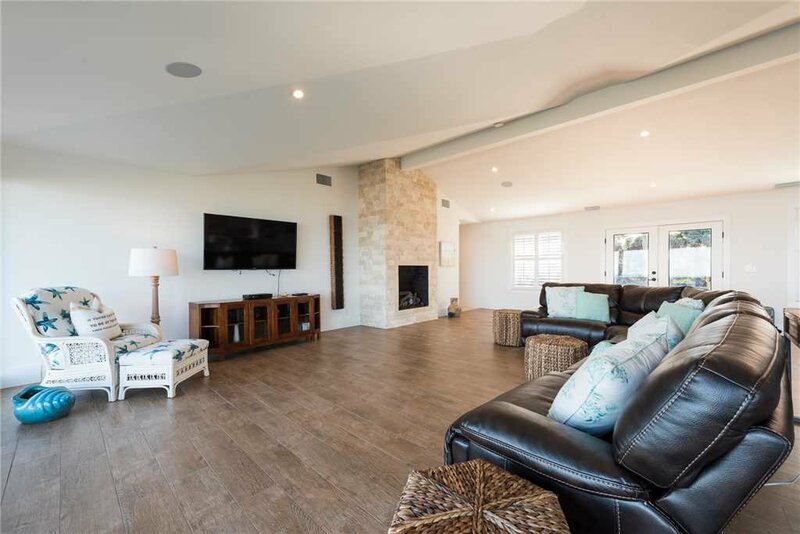 This sprawling ranch style home takes open-concept design to a whole new level. 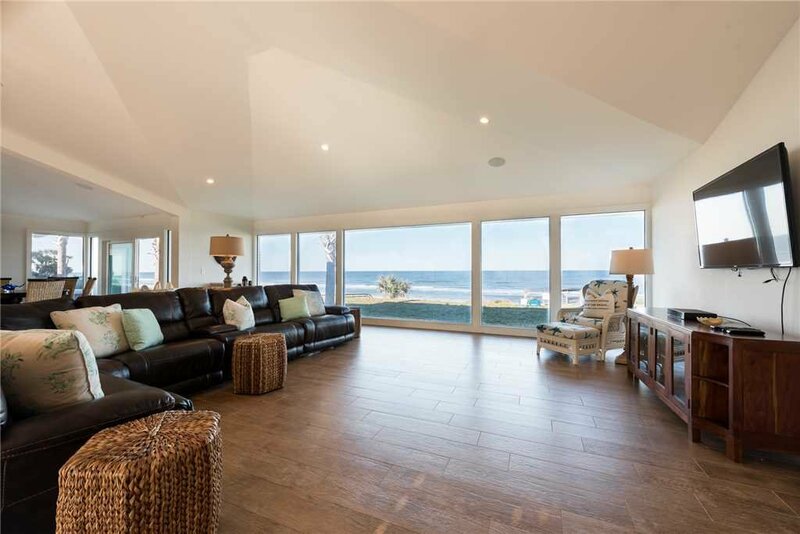 An entire wall of your immense living room flowing onto the dining room is solid windows, giving you that spectacular view of the Atlantic. You’ll feel like you are on a movie set: it’s that beautiful. Comfortable couches and an armchair gives you a good view of the wall-mounted flat-screen TV with cable. There’s also a gas fireplace to enjoy on a cool evening. 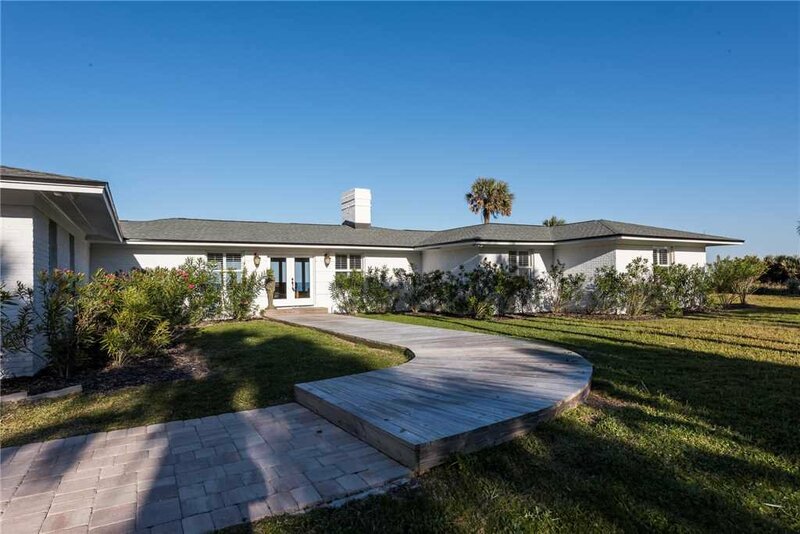 This spacious home provides plenty of room for you to spend time with others without bumping into each other at every turn. 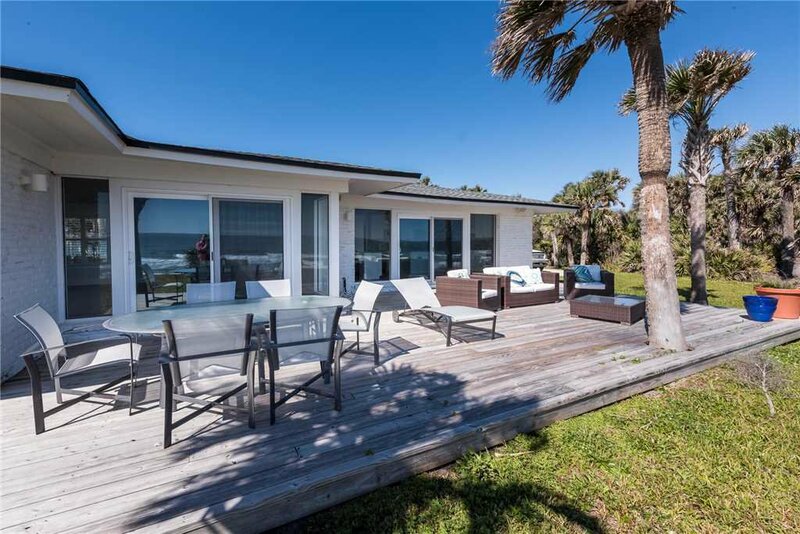 Step outside through the sliding glass doors onto a huge deck with comfortable furniture. 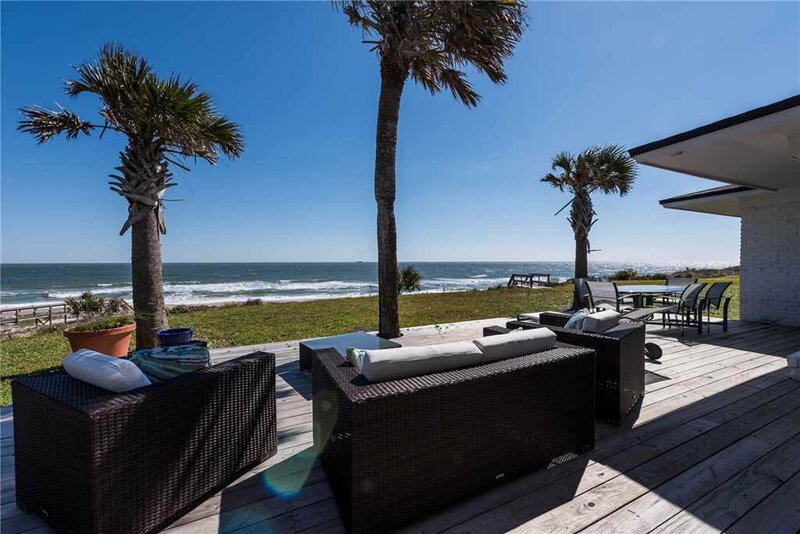 Sit down with your friends with a drink in hand and enjoy the view while you relive the high points of your day golfing, playing at the shore, shopping, or seeing the sights. You have so many possibilities. 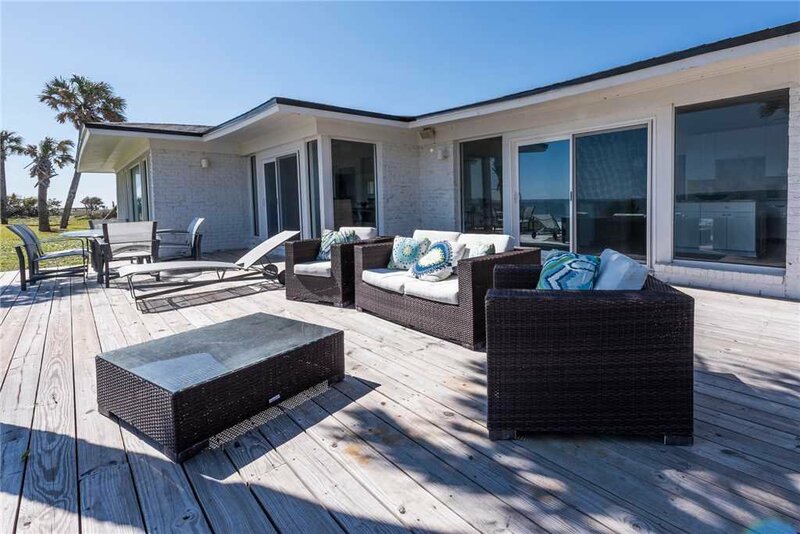 You could dine out on this deck in the salty sea air, but you also have other options including a wealth of restaurants close by. 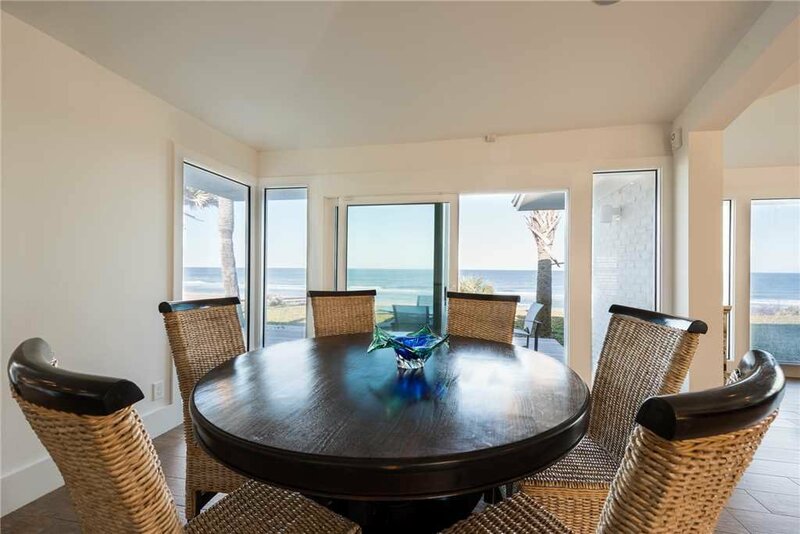 You have a large circular dining table with six chairs where you can enjoy meals cooked in the gourmet kitchen at Ponte Vedra Blvd 1137. 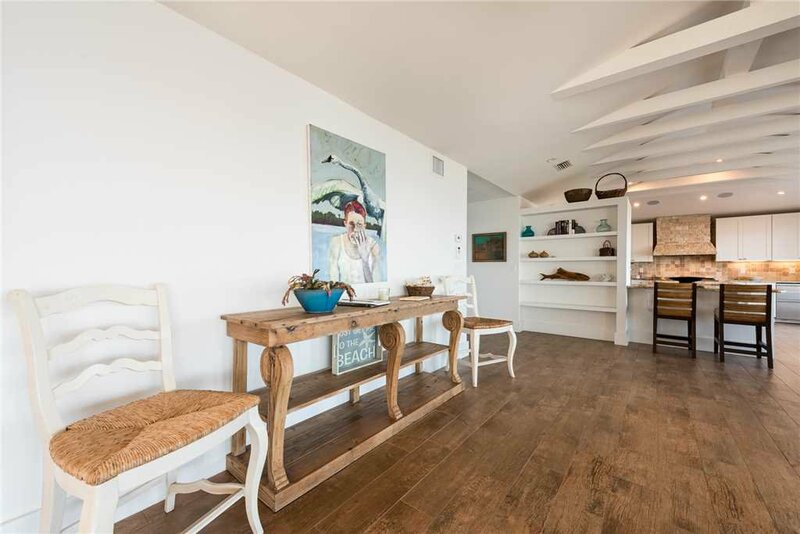 If additional seating is needed you can set two more people up at the nearby breakfast bar. 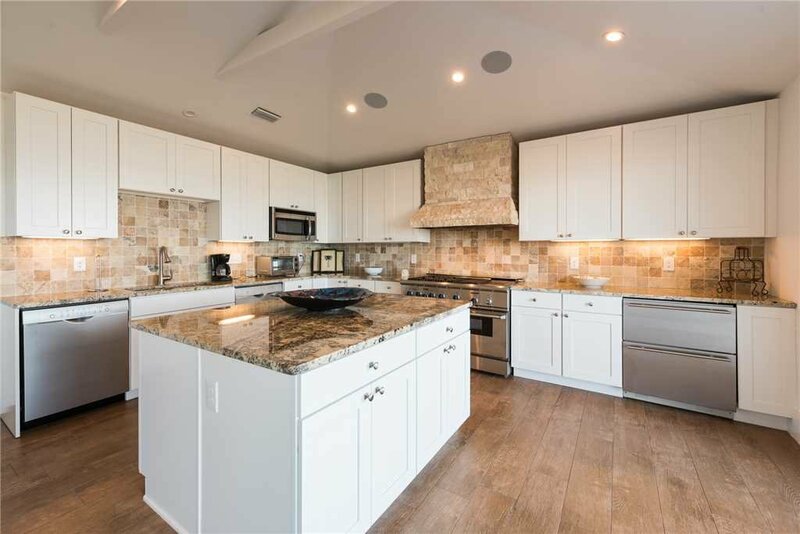 Your Ponte Vedra Blvd 1137 kitchen is a chef’s delight. 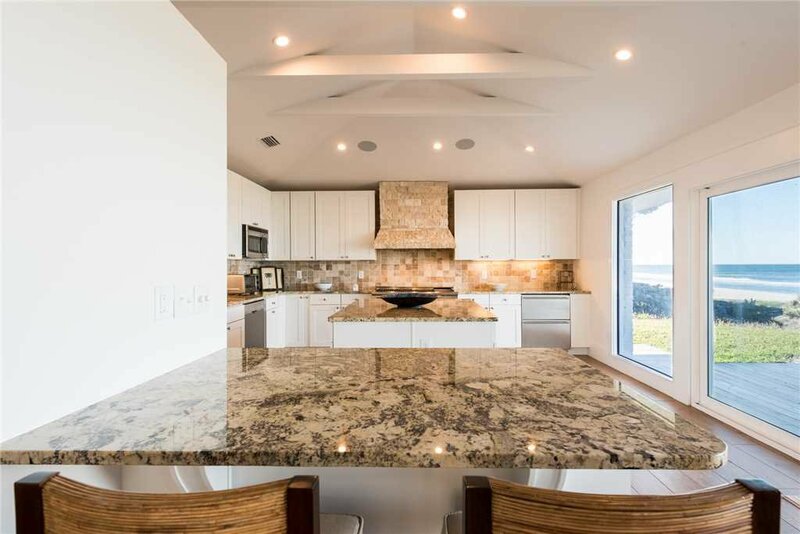 Granite countertops, a huge island, plentiful cabinets, and stainless steel appliances make preparing your favorite dishes a true pleasure. You’ll find everything you need to cook for and serve your guests right at your fingertips. 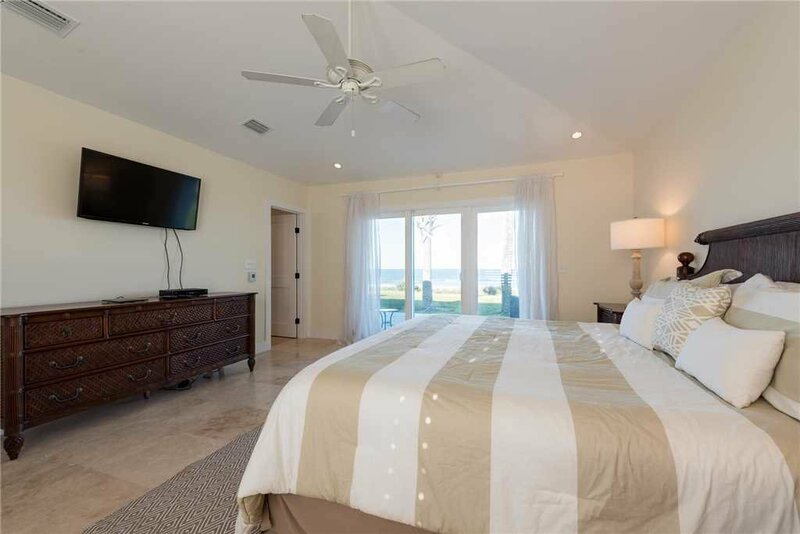 Your master bedroom includes a king-sized bed, vaulted ceiling, dual nightstands, and reading lamps along with a dresser and a wall-mounted flat-screen TV. 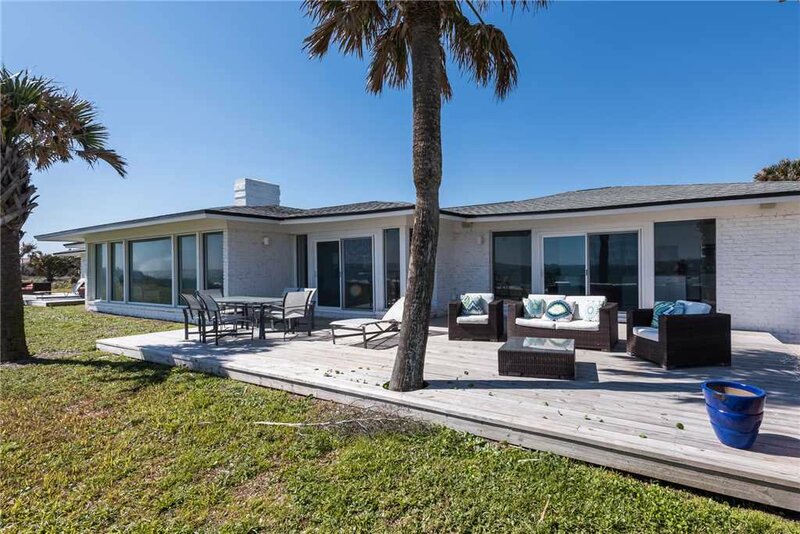 Sliding glass doors open up onto the Ponte Vedra Blvd 1137 deck where you can slip out to enjoy your cocktail while you watch the stars come out in the heavens. What a peaceful way to end your day. 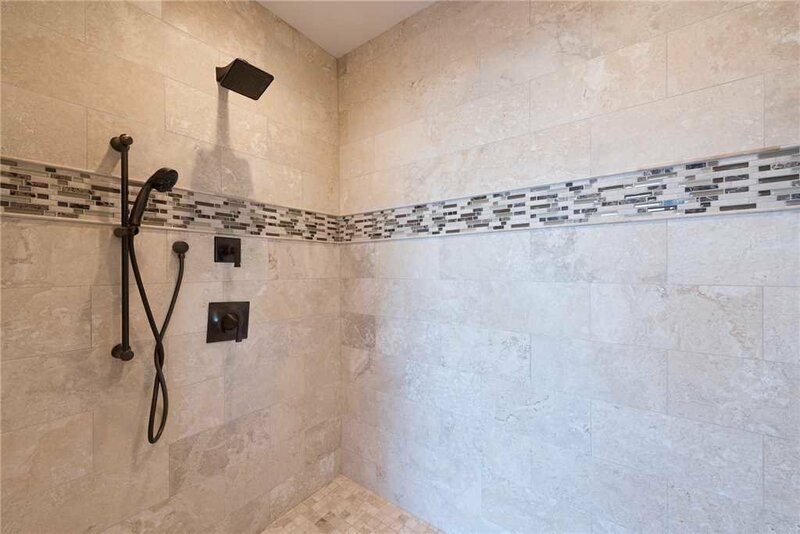 In the morning you’ll get ready for more fun in your luxurious master bathroom with huge vanity, lots of natural light, and a large walk-in shower. 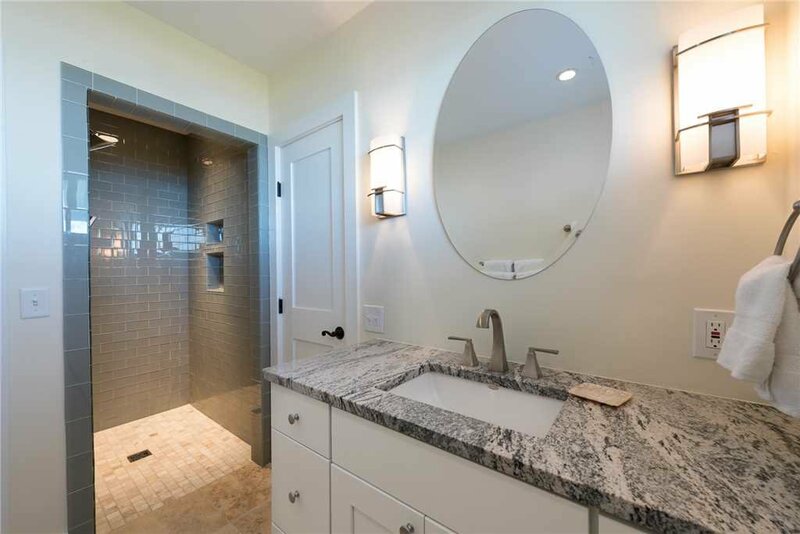 You may never want to leave the pampering of this gorgeous bathroom. 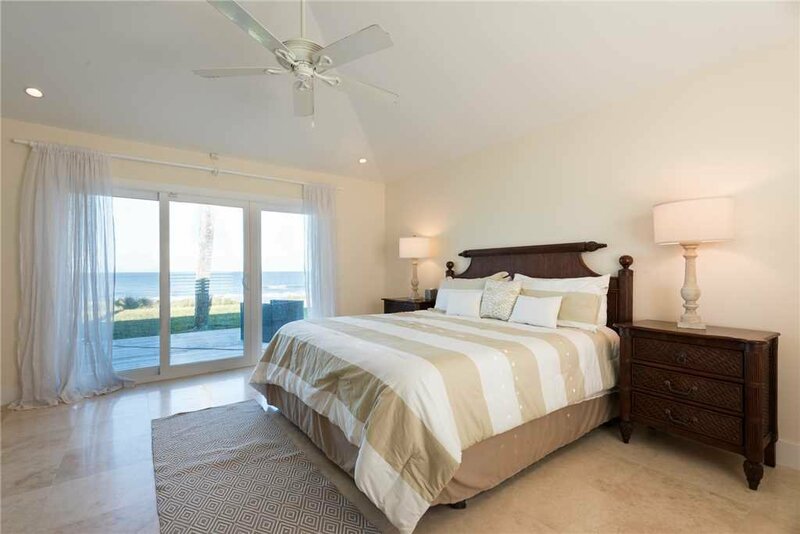 The second bedroom includes a queen-sized bed with nightstands and reading lamps. 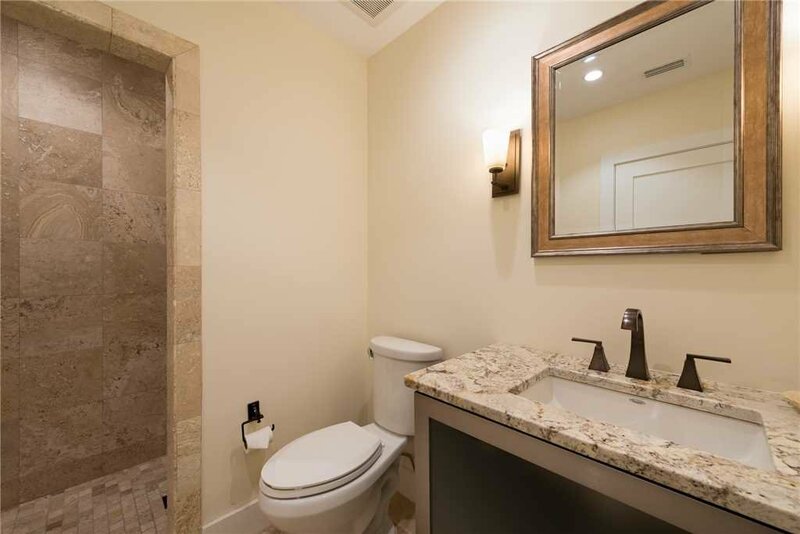 The second bathroom is just steps from the bed. 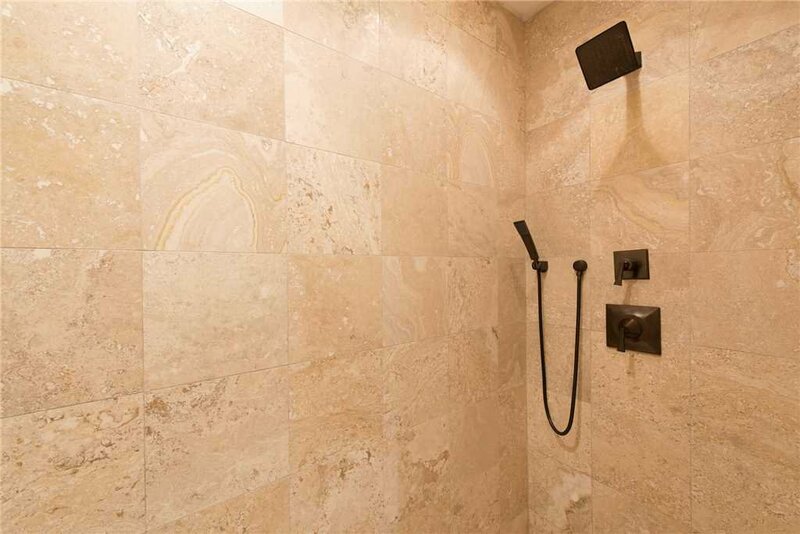 There you’ll find your walk-in shower and granite-topped vanity. 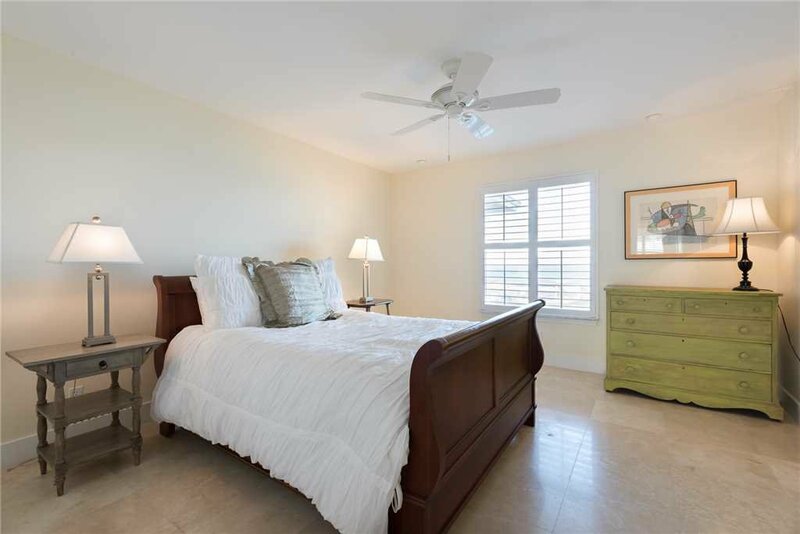 The third bedroom also features a queen-sized bed with a dresser, nightstands, and reading lamps. 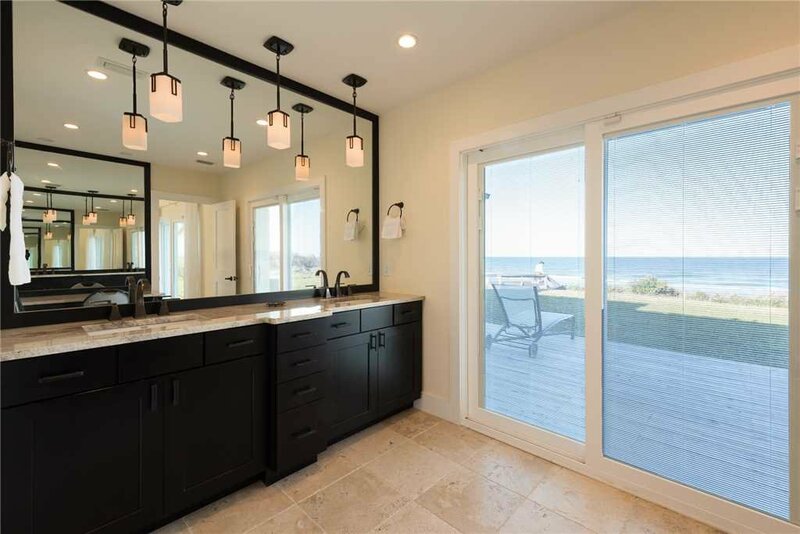 The third bathroom has a large walk-in shower and equally large vanity with plenty of space for guests to spread out their toiletries. 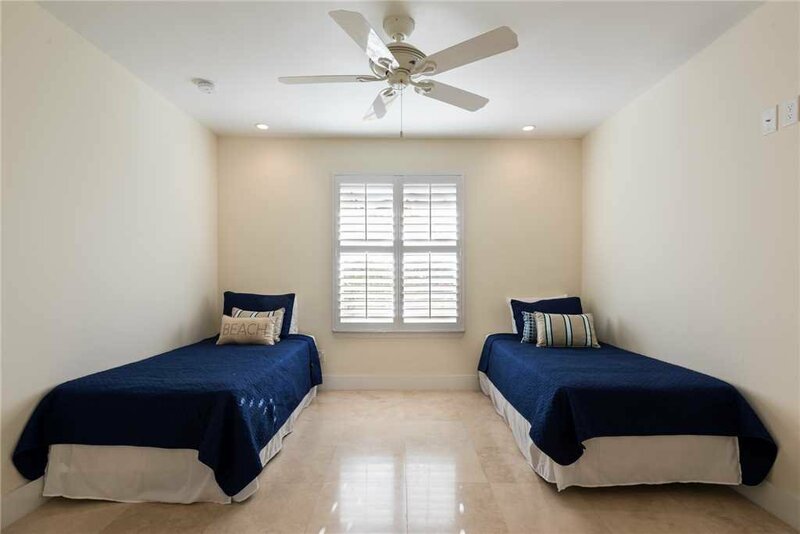 The fourth bedroom is a perfect kid zone with its two twin beds and room to spread out toys to play. Kids will enjoy claiming this space as their own. You also have a washer and dryer within Ponte Vedra Blvd 1137 so you can keep everyone in clean clothes throughout your stay. When you return from the beach just toss your bathing suits and towels in the washer and go. 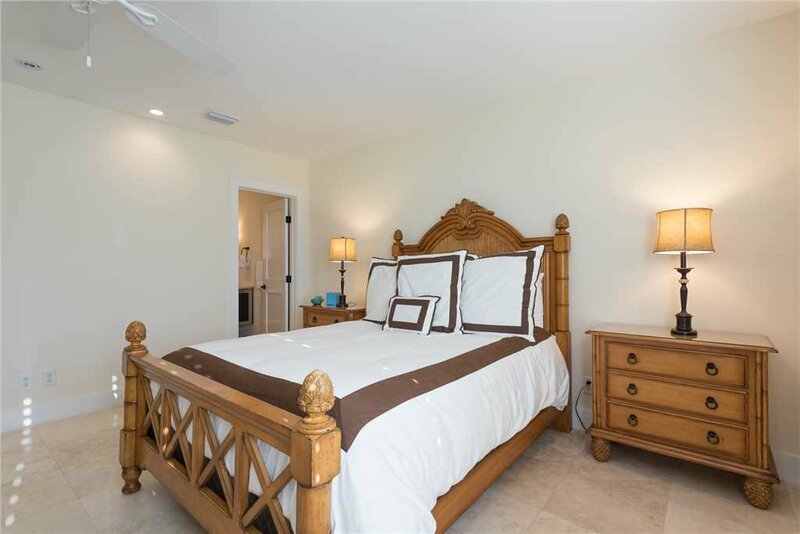 You’ll make wonderful memories that will stay with you for a lifetime when you rent Ponte Vedra Blvd 1137. 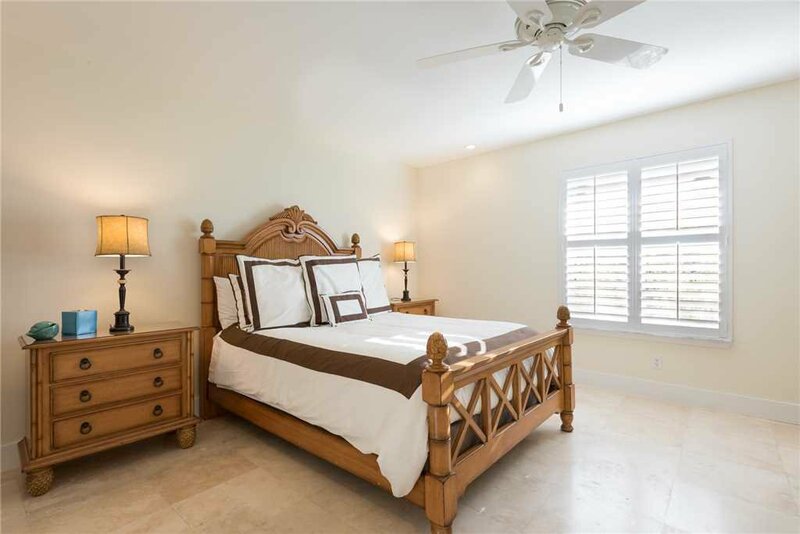 You deserve luxury as only this lovely property can serve up! 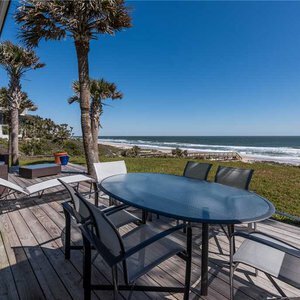 There is a one-week minimum stay at Ponte Vedra Blvd 1137 with a Saturday arrival and Saturday departure in season.